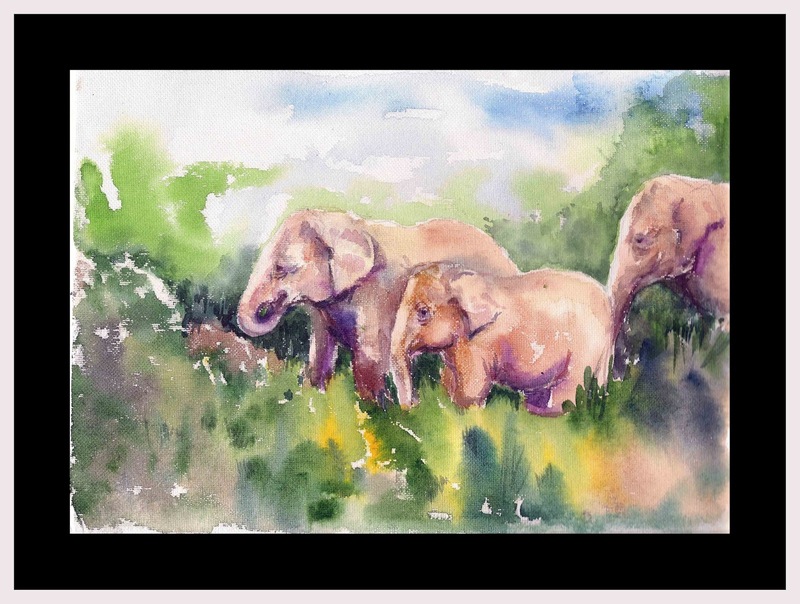 Three elephants of a family walking through the forest hoping that humans don't spoil their day! This is another beautiful painting, Asha. I hope you'll continue posting and painting after the challenge. Thank you so much. Wish I could continue to post.